To become a certified nursing assistant (CNA) in Florida, you must be at least 18 years of age, have a high school diploma (or its equivalent), and pass a competency exam. Over 80 Florida schools offer CNA training programs. Students spend at least 120 hours in training plus a minimum of 40 hours in an approved clinical setting. Those concerned about the cost of tuition can inquire with hospitals, nursing homes, or Job Corps about free training programs. Florida schools like Charlotte Technical Center, Chipola College, and Daytona College offer well-regarded CNA programs. Aspiring licensed practical nurses (LPNs) must graduate from a Florida-approved certificate program. They must also successfully pass the NCLEX-PN national licensure exam. There are around 150 schools in the state which offer an LPN certificate program. Some of the state's top LPN schools include Atlantic Technical Center, Bradford-Union Area Career Technical Center, and Eastern Florida State College. There are several options you can take to become a registered nurse (RN). An associate’s degree in nursing (ADN) allows its graduates to pursue entry-level jobs immediately. A bachelor of science in nursing (BSN) prepares its students for administrative roles. BSN graduates can also later pursue a master’s degree in fields like specialist nurse, nurse educator, or nurse practitioner. Both the ADN and BSN pathways prepare students to take the NCLEX-RN national licensure exam. 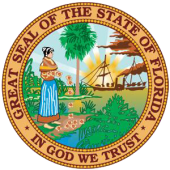 To help you fully consider the options available, we have provided below a comprehensive list of state-approved nursing programs available in Florida.